PrestaShop is a free open-source e-commerce software platform that powers over 150,000 online stores in over 150 countries. The company offers a powerful language engine that allows merchants to translate their site copy and product descriptions into 56 languages. Customers are supported by nearly 500,000 PrestaFans (community members) that offer code contributions and suggestions. Customized Site: Choose from numerous templates that can be tailored for your store, and brand your invoice, favicons, and header with your logo. Marketing Tools: These include automated follow-up emails, newsletters, loyalty programs, refer-a-friend programs, and more. Catalog Management: Easily manage your product list for even the most complex inventory including set attributes, bulk discounts, and more. Product Displays: Provide your customers with multiple product view options to increase sales. One-Page Checkout: A simple checkout with customizable fields. Mobile Themes: Easy to configure and compatible with IOS, Android and Blackberry devices, PrestaShop allows you to create a mobile shopping presence in minutes. Using the Stamps.com integration, PrestaShop customers can easily import order data and print shipping labels for all USPS mail classes, domestic or international. Once shipping labels are printed, Stamps.com will automatically post-back USPS tracking information to your PrestaShop store. 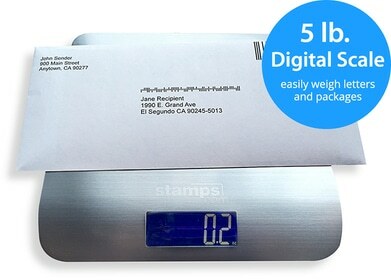 Additionally, Stamps.com offers discounts on shipping rates and package insurance.